An introduction to molding botanical specimens. We will make a pendant with a botanic imprint. Beginner and experienced clayers are both welcome. 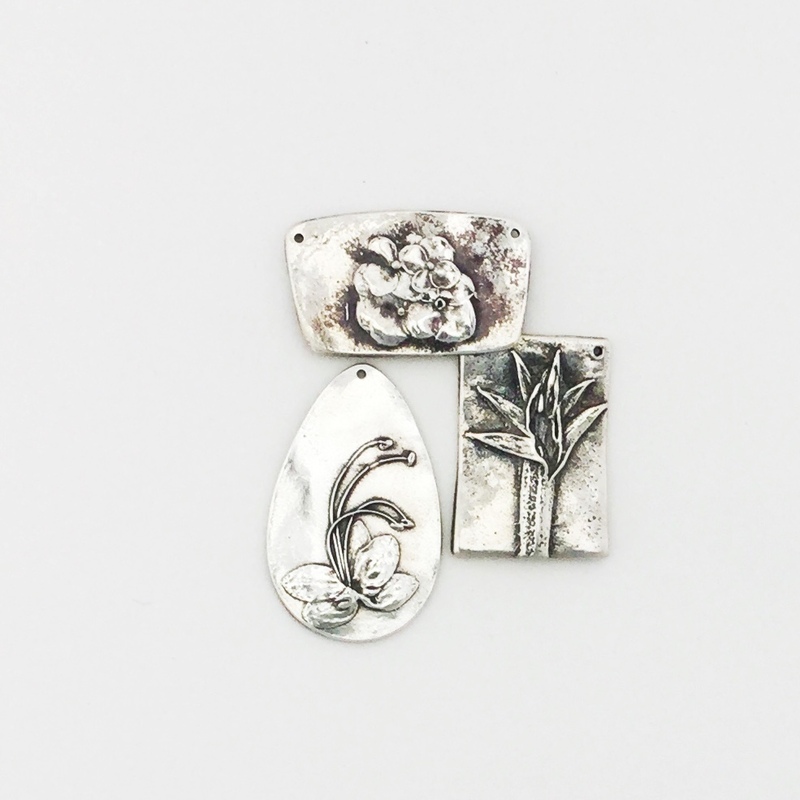 You will learn mold making, handling, forming, refining, firing, polishing and storing silver clay. All tools are provided by the instructor, if you have your own tool kit bring it along! Also bring any plant material or interesting textures you would like to use in your project. Kit fee $25 includes 10 grams of silver clay, molding material, use of tools.